The two-week period since Christmas Eve sure seemed like the Polar Express came to visit and then never left! In particular, the first 4 days of the New Year were exceptionally brutal with an average temperature of 21.4°, ranking as the 4th coldest such period on record! In fact, most everywhere east of the Rockies experienced well below average temperatures the past two weeks. 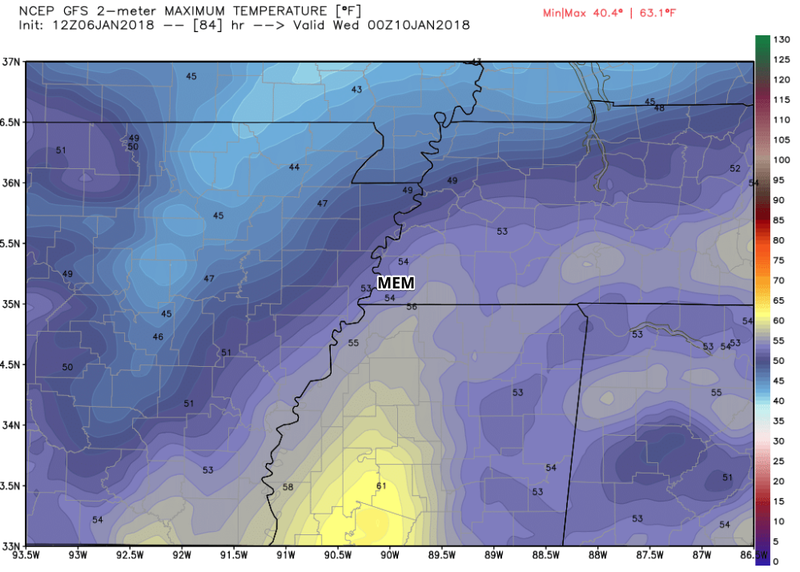 And much to Memphians chagrin, with the exception of a few "river-effect" snow flurries New Year's morning, we received no snow during that "wasted" cold snap! Since we seem to all be OVER this cold weather, all eyes look forward towards a warm-up this week, when it appears we'll get back to near, and even above, average temperatures! We'll need to make some progress back above freezing as our next precipitation event is less than 24 hours away. Low pressure will form and move by to our south Sunday night, bringing in a round of rain Sunday afternoon into Monday. The steadiest precipitation will occur Sunday night, but (good news or bad news, depending on your position), temperatures will remain warm enough that this will be an all-rain event. Southeast wind pushes the mercury up from our Sunday morning low near 30° to the mid 40s by afternoon when most precipitation is expected to begin. A strong south wind overnight keeps us in the 40°+ range Sunday night, then wind shifts back to the north, keeping Monday's temps in check in the 40s as well. There is not much cold air behind this system, and in fact, we'll see that warming trend begin by Tuesday with highs ABOVE average in the lower 50s! (The last above average high temperature we experienced was December 22.) Tuesday should also be dry, but with a fair amount of cloudiness. 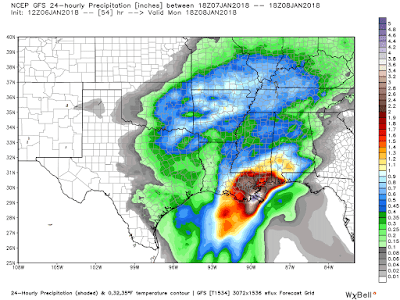 By mid-week, we'll start to see southerly flow return ahead of the next system forming in the Plains. This will mean low rain chances, but more importantly, even warmer temps.Wednesday and Thursday should both feature highs at or above 60° with mild overnight lows. 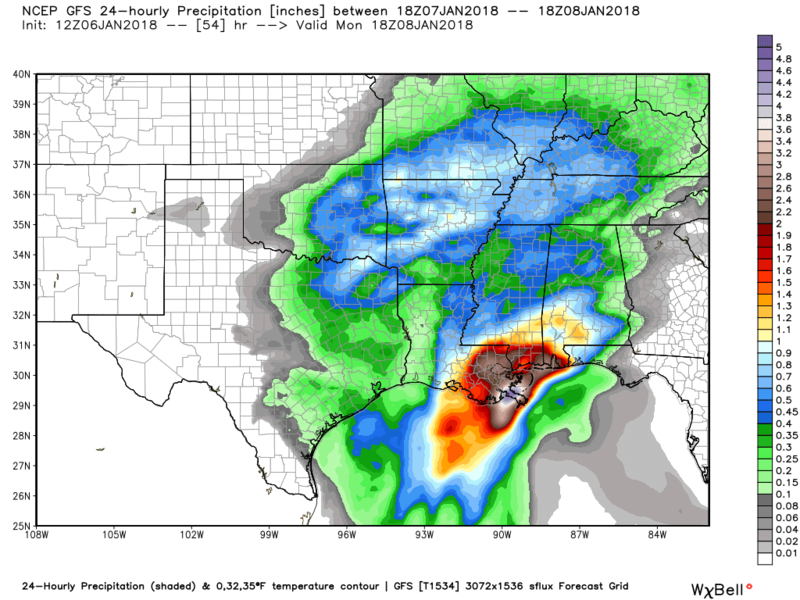 The best rain chances with this system appear to be Thursday and Thursday night, though the European model currently wants to hold precip chances into Friday as well. That could be a problem, as the freezer door swings open again Friday with temperatures some 30° colder than Thursday (60s to 30s). 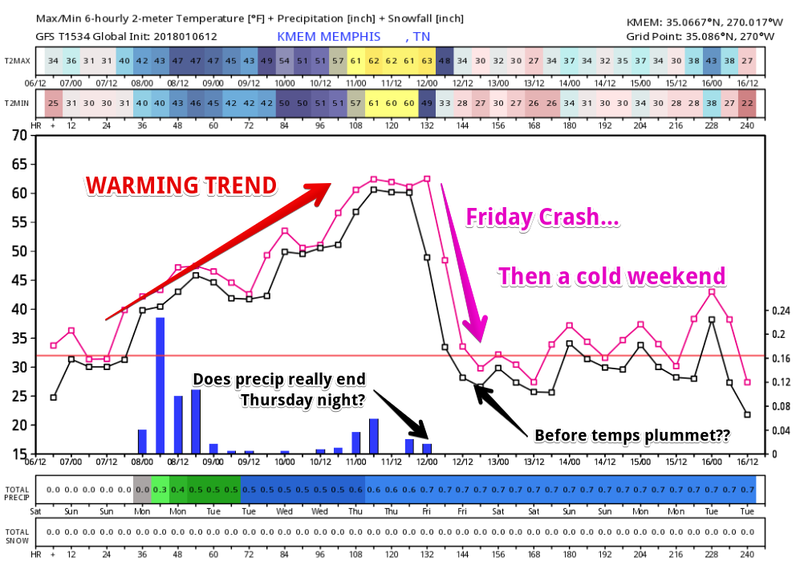 If precipitation sticks around as the European model suggests, we COULD be looking at a wintry mix of precipitation. I'm thinking the most likely form would be ice, as a surge of cold air undercuts still warm air aloft. 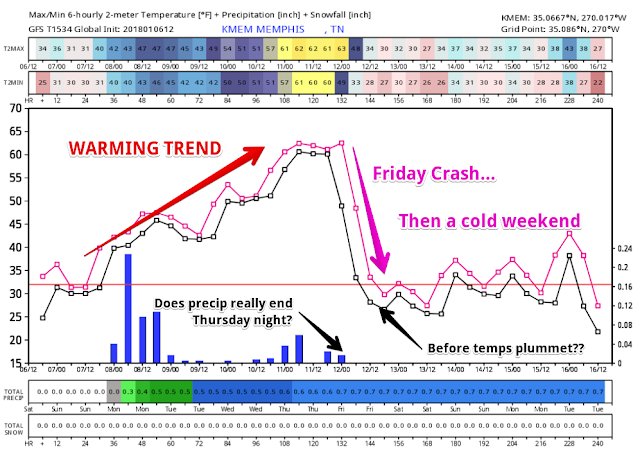 It's too early to start taking bets on winter weather, but all indications are that a blast of cold air arrives Friday and lasts into early the following week, so we'll be watching that always-tricky "cold air arriving/moisture departing" dilemma for the end of this week! Stay tuned! 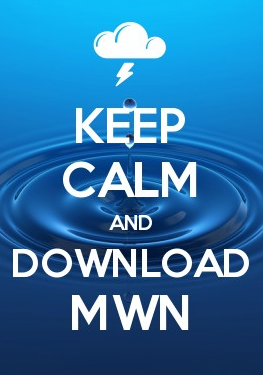 In the meantime, enjoy shedding the parkas and turning off your faucets this week and Happy New Year from MWN!